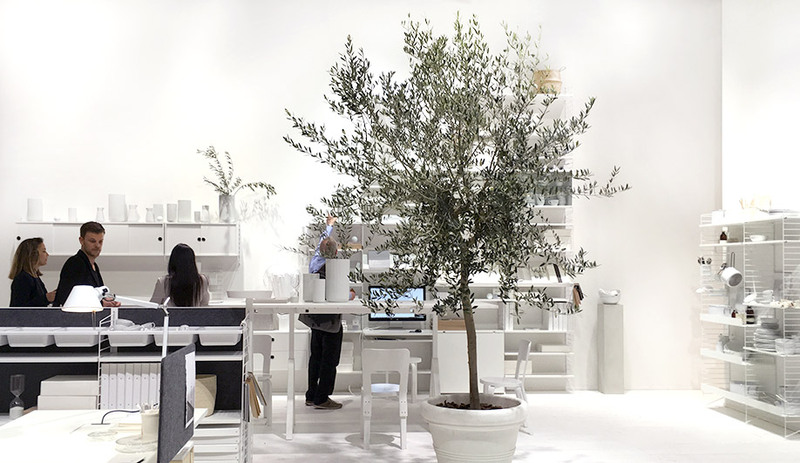 We noticed that some of the best exhibits during Milan Design Week – the ones that have remained planted in our brains well after the show – had one thing in common: white. Using the non-colour colour to create a blank slate is hardly new for the contemporary design world, but its visual effect is no less memorable. Faye Toogood, Oki Sato of Nendo, and Lee Broom were some of the talents who employed impressive white-on-white designs and theatrics in ways that were anything but bland. Invited to create an installation using the Swedish company’s endless supply of home furnishings, Faye Toogood chose to enlarge the Poäng chair, an Ikea classic from the 1970s which the British designer grew up with as part of her family’s living room furniture. 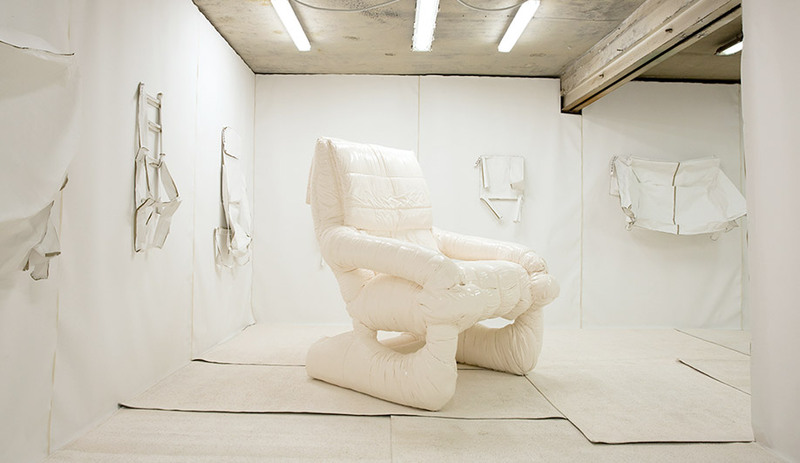 Renamed Enfant Terrible for the Ikea festival held at Ventura Lambrate, Toogood enlarged the seat to a scale that turns adults into toddlers, and upholstered it with 150 Ikea duvets. 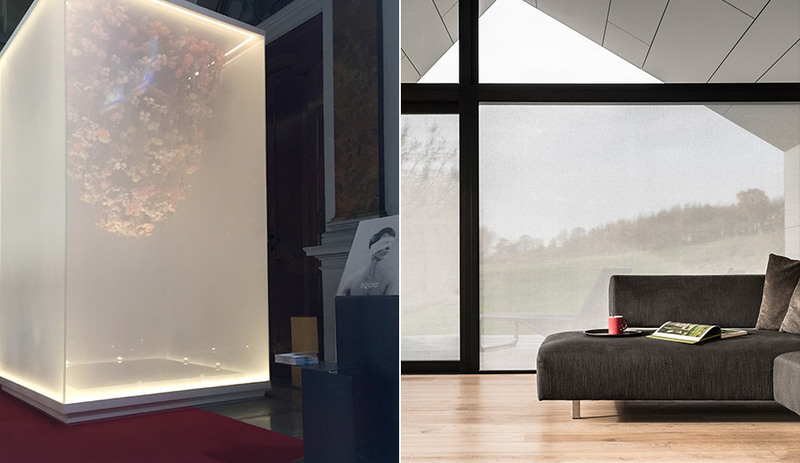 To illustrate the semi-translucency of their self-adhesive wall treatment, Squid built a small glass room inside the Palazzo Litta and filled half of it with flowers suspended from above, like a chandelier. The white textile, a newly minted product by a Belgium startup, adheres to glass like a Post-it Note and peels off just as easily – and without leaving any residue film. 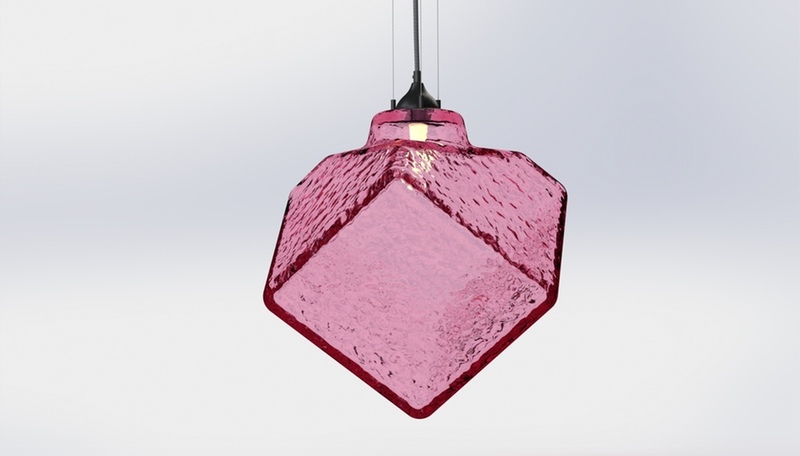 It’s a challenge for a new brand to stand out during Milan Design Week, especially in the less-glamorous category of window shades. But Squid’s white scrim surrounding a mammoth bouquet grabbed attention, at least long enough for people to discover the material’s unique qualities. Photographers in particular have exploited its potential, using sheets of it to temporarily block out direct light during photo shoots. Among the young firms on display at Salone Satellite was Studio Truly Truly, run by Joel and Kate Booy of Australia. 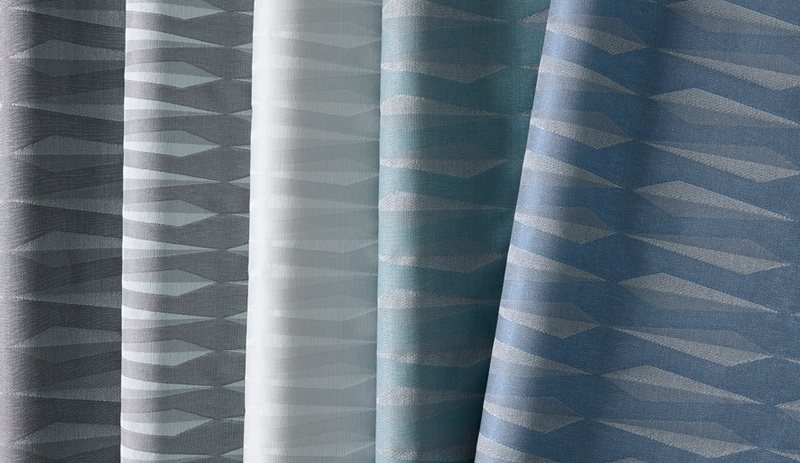 Now based in the Netherlands, the duo have garnered lots of media attention for their lineup of elegant furniture, lighting and textiles. 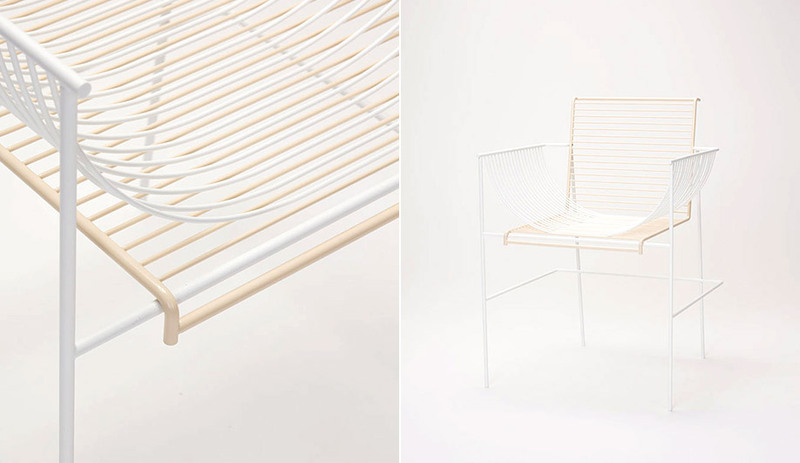 Wove Chair brings together two shades of white for a quiet tone-on-tone effect, made possible by the piece’s two-part construction. Ten years ago, the British designer launched his career in Milan. He’s been a rocketing success ever since. 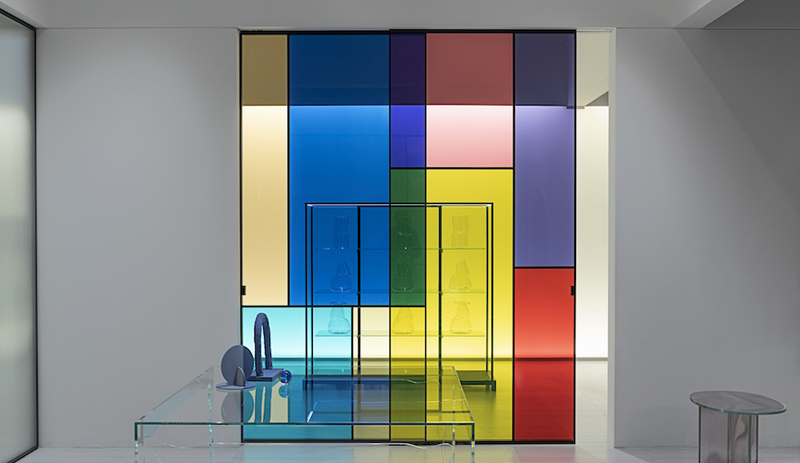 Now with his own brand and retail shops, in New York and London, Lee Broom decided to celebrate his decade-long trajectory with theatrical panache. Time Machine became one of the most talked-about installations all week. Inside a cavernous, dank and mouldy space attached to Milan’s Central Station, Broom installed a motorized carousel showcasing all of his products to date. 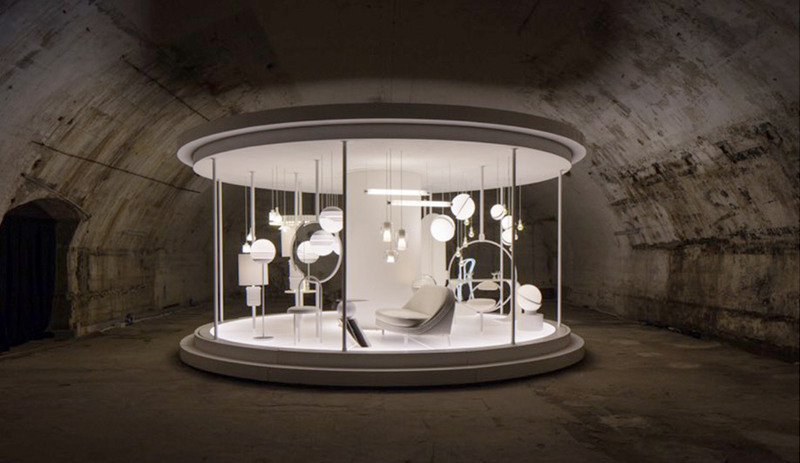 Every piece, from his Hanging Hoop chair to his Carrara marble Tube light, radiated a winter white clarity, as did the white-hued carousel itself. The installation was a magical display that had visitors mesmerized. 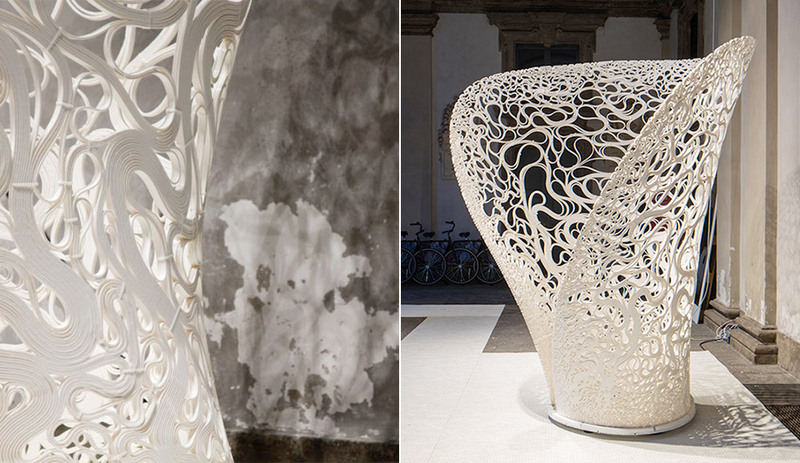 Zaha Hadid Architects’ computational research group (ZHA CoDe) rolled out a beautiful monotone creation: a chair called Thallus, named after the Greek word for flora that is both stem and leaf. 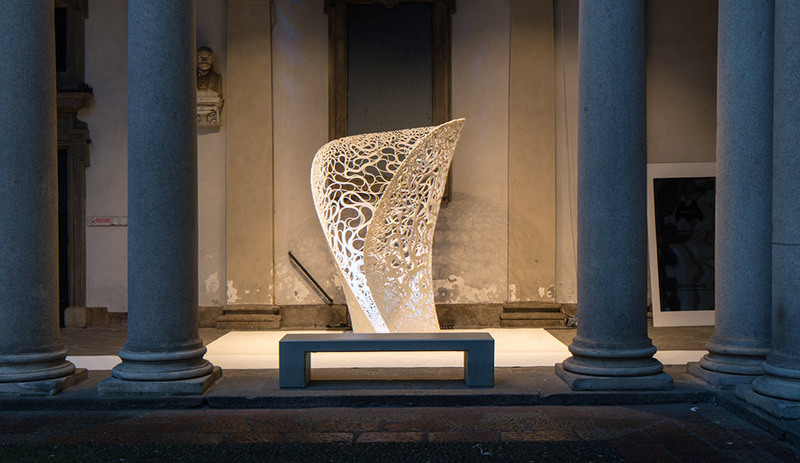 The prototype was fabricated using a six-axis robotic 3D printer, which manufactured a continuous seven-kilometre line of structural material that repeatedly looped to connect itself. Its construction was formed using a ruled surface geometry. Installed within a cloister in the Brera District, the throne-like seat was part of a larger exhibit and event curated by Giulio Cappellini called White in the City – in this case, white was not in reference to a lack of colour, but of every colour. Also part of the White in the City exhibit was an illuminated pillow by Tokyo design studio YOY, lead by Naoki Ono and Yuki Yamamoto. 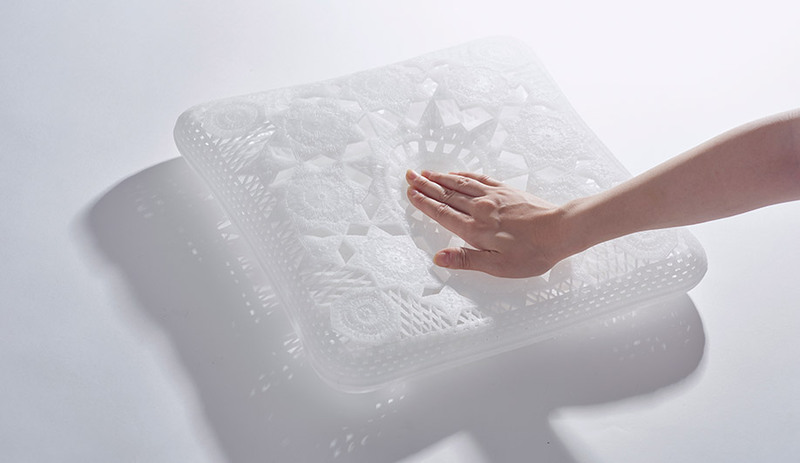 What looks like a cushion covered in crocheted lace is actually created in collaboration with Mitsui Chemicals and moulded with a light resistant elastic polyurethane called STABiOTM. The challenge was to make the light as soft as a cushion. 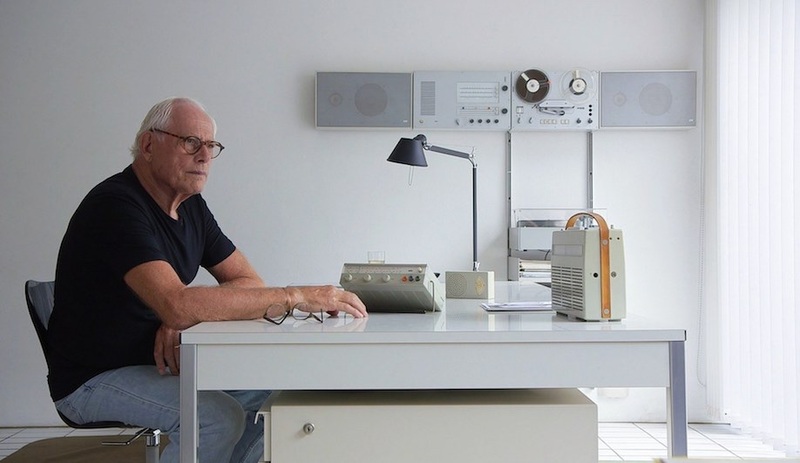 Swedish architect Nisse Strinning invented String in 1949 and the built-it-yourself storage system has never gone out of production. It’s so simple: a wire rack that can be configured and animated endlessly to create desk areas, bookcases and closet systems. There are also accessories that can transform the racks into a working kitchen. At the fair, the brand went all-white, proving once again the timeless collection just doesn’t get stale. 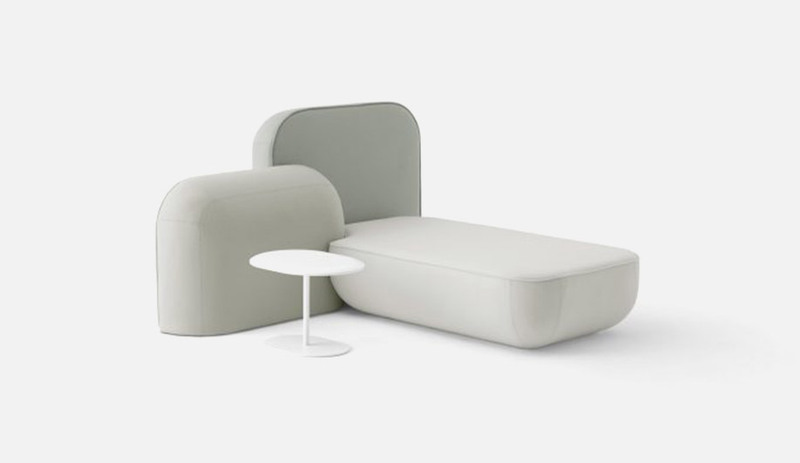 Almost everything Nendo does is monotone, and white is the firm’s prevailing hue. 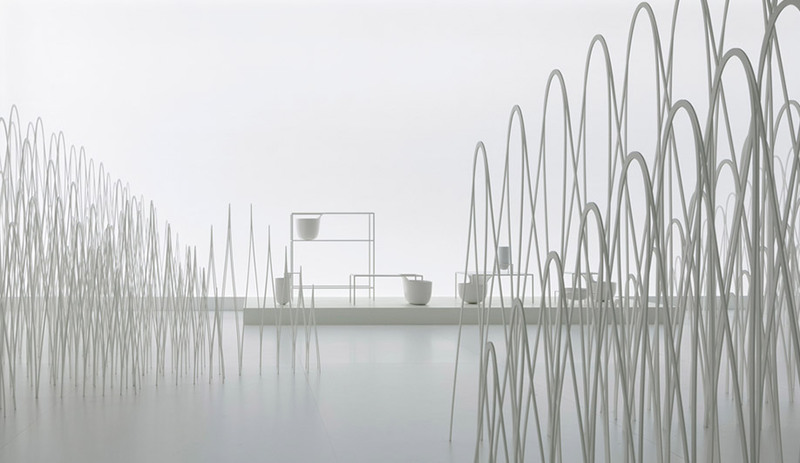 The Japanese studio launched installations at various locations, most notably at the fashion house Jil Sanders, which showcased a stunning display of Nendo’s creativity and artistry. The solo exhibition, Invisible Outlines, culminated with an all-white room, shown here, that became a permeable field of white rods. Along the pathways were smaller displays showcasing new products, including Flow for Alias, a collection of delicate side tables and standalone bookcases that incorporate a bucket, either welded around a table leg or attached to a shelf. The buckets can be used as catch-all containers, as planters for foliage, or better yet, simply be left alone to be the beautiful curiosities that they are.